Cheap Nucleus Hosting is part of the HostForLIFE.eu commitment to ensuring that everyone has the opportunity to host their own web site. HostForLIFE.eu also offers a wide selection of other free software installations to help establish your site, that can also be installed in just a few clicks from our World Class Control Panel. HostForLIFE.eu offers the best of Nucleus Web Hosting options, saving you time and money! What is European Nucleus Hosting? Nucleus CMS is a complete blogging package that allows the maintenance of one or more weblogs with multiple authors. Nucleus is one of the CMS (Content Management System) developed in PHP. As it is an open-source project, you can make changes to the Nucleus code (under the GPL license). You're are also allowed to redistribute those modified versions, as long as the terms of the GPL license are followed. Why Choose HostForLIFE.eu for Nucleus Hosting? 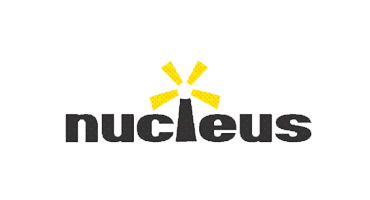 Try our Free Nucleus Hosting today and your account will be setup soon! You can also take advantage of our Windows & ASP.NET Hosting support with Unlimited Domain, Unlimited Bandwidth, Unlimited Disk Space, etc. You will not be charged a cent for trying our service for the next 3 days. Once your trial period is complete, you decide whether you'd like to continue.